PAYING FOR YOUR NOMADIC KNIGHTS ADVENTURE IS EASY, AND MOST IMPORTANTLY, SECURE. Once your booking is made you will receive an email detailing how to pay your deposit or your payment in full to secure your place on one of our amazing adventures using your Credit or Debit Card. You can also choose to pay by bank transfer using the EFT (Electronic Funds Transfer) facility using our SECURE PAYMENT GATEWAY provided by Exchange4free. Exchange4free is regulated and authorised by the Financial Conduct Authority (FCA) as an Authorised Payment Institution (Licence – 502845) to provide money remittance and payment services under the Payment Services Directive (PSD). We are the ONLY adventure tour company of our kind in India to offer this facility as we understand how important it is to ensure that your online transactions are secure. Please find the Visa requirements in your INFORMATION PACK. This can be downloaded from the webpage you booked your adventure on. You do not need to bring excess clothing unless you are planning to stay in the country after the trip. Do not bring clothing, baggage or any equipment that you are worried about damaging as facilities during the event are at times basic. All luggage will be carried by truck. A general note about clothing for riding your motorcycle. It is important that you are as comfortable as possible in your riding kit to ensure that you can direct as much of your attention as possible to the road or track ahead. Temperatures can change significantly during a day’s ride, so a good tip is to wear several thin layers to give you the ability to adjust your kit to suit the conditions. FURTHER DETAILED INFORMATION REGARDING RIDER KIT & RIDING CONDITIONS CAN BE FOUND IN THE INFORMATION PACK ON YOUR TRIP PAGE. This is the best way to carry drinking water; the pack is carried in a purpose-made rucksack and the water fed through a drinking tube. This enables the rider to keep hydrated without the need to remove the helmet. The rucksack can also be used to carry small items of kit. Any helmet that has approval for road use is acceptable and must be worn at all times when on the motorcycle. The ideal type is the motocross or enduro helmet as it has the best compromise of features. The peak acts as a sunshade, the chin guard gives good protection and ventilation, and the overall design allows the comfortable wearing of goggles – strongly recommended for keeping out dust! Tinted goggles are advisable over sunglasses for the same reason. However, your road lid is suitable for the event but please bear in mind that the difficult terrain and conditions during the event may mean that some damage to the helmet may be sustained. There are a few different styles of body armour available; the hard plastic ‘rooster-tail deflector’ or tabard style, the ‘all-in-one’ mesh jacket (which includes hard armour in all the vulnerable areas and a kidney belt) or separate pieces of hard armour fitted into a jacket. It is down to personal choice as to which is most comfortable. It is important that elbows, back, shoulders and chest are as well protected as possible. A textile motorcycle jacket is highly recommended as they usually feature a removable lining. This is ideal as it allows adjustment of kit according to temperature changes during the day. Hard wearing and breathable are the important features, beyond that it is down to personal choice. Textile, as opposed to leather, is preferred as leather is too hot and restrictive for the conditions. Motocross or enduro pants are ideal, although alternatives such as reinforced denim jeans or combats could be considered. It is essential that adequate knee protection is worn, the hard type being recommended. Sturdy, over the ankle, motorcycle boots are essential. The changeable weather conditions during the event mean that there is the very real possibility of rain or even snow (snow in Himalayas only) during the event. A lightweight waterproof suit serves a dual purpose – it keeps the rain out but can also act as an extra insulator against wind and cold. Suits are available as either a one or a two-piece, both of which have their advantages. For example, the one-piece is more watertight, whereas the two-piece can be worn as separate items and is easier to put on and remove. Please bring 4 passport style photographs, we sometimes need them to cross borders and obtain travel permits. To include a sufficient supply of any personal medication. Items that may be very useful include rehydration salt sachets, paracetamol, ibuprofen, antiseptic cream and sticking plasters. A high factor is strongly recommended. Although bedding will be provided every night, you may prefer your own sleeping bag for nights in the more remote locations. A lightweight 2-3 season bag is recommended. A head torch is very useful. WASH BAG, SCARF / BANDANA (TO PROTECT NECK), FLEECE / PULLOVER, TOWEL, TRAINERS OR SANDALS, T-SHIRTS, FLEECE, CASUAL TROUSERS, SWIMWEAR, BUNGEE CORDS…and finally EAR PLUGS – To protect against snoring room mates! I am sure that you are brimming with questions before your trip to India. Further detailed information can be found in your Information Pack which is available for downloading at your convenience from your adventure page. I have found the Indian people to be the friendliest and most helpful people you will ever encounter. They are always willing to help and are mostly fascinated as to the reasons why you are visiting their country. They are happy to approach you and ask your name and where you are from. They may offer you their mobile number so as you can remain friends and you will be expected to offer the same in return. Don’t be suspicious, they truly mean their friendship towards you. You will on many occasions be invited to the homes of people you have just met to meet and dine with their families. This is the greatest honour that can be bestowed upon you. Indians truly love their country and are the most patriotic people I have had the good fortune to meet. When they stare at you they are not being rude, they are just curious. Raise a big smile to them and just watch their faces light up in return. In south India the sun always shines and the average daily temperature is around 30 degrees. We run our trips in south India at a time where we miss the monsoon rain so dry weather is almost guaranteed. The temperature can drop unexpectedly at night so bring a standby fleece and sleeping bag just in case. North India (Himalayas) is cooler than the south with daily average temperatures coming in at around 20 degrees. We run our trips in the far north so even although it is monsoon time in the lower parts of the country we can sometimes expect occasional rain and sometimes snow. Bring a fleece, sleeping bag and a warm jacket as there are places you may need them in the evening. If riding a motorcycle then waterproofs and warm underlayers are essential. Our “India’s Lost World” adventure is run in the north east of India during the month of April just before the monsoon rain arrives. At this time of year the average daily temperature is around 30 degrees. It can rain at this time of year however it’s expected to be mostly dry. We run our adventures in Rajasthan from October until March at which time the average daily temperature is around 25 degrees, bright sunshine and there is virtually no chance of rain. It can be quite cool in the mornings and evenings. You can find further information regarding the climate of your particular adventure by downloading the Information Pack from the trip page you have chosen. Again the food varies from the north to the south however there are no crazy hot curries as you might expect. Real Indian food is nothing like you will find in restaurants in foreign countries. The food is reasonably spicy however you can generally get a mild dish if you require one. The dishes range from fish, chicken, mutton and a full range of vegetables are available at most meals. Rice and chapattis are the mainstay of Indian cuisine however western dishes are available at most hotels. I find most of the food to be of an excellent standard and also very healthy. I advise that you drink only bottled water which is completely safe and is available throughout all our trips. Always check the seal on the bottle when you are buying. If you are not sure then ask for it to be changed. The accommodation we stay at on the trips varies from top quality hotels to camp sites. It varies from beach resorts to mountain lodges. We only choose the best places available however even if they seem basic they are always clean, have good food, clean comfortable bedding and good toilet facilities. On most occasions we will all be sharing two people to a room or a tent when camping. On some occasions triple sharing may be necessary. The tents we stay in whilst camping are mostly spacious Arabian style tents with beds and attached bathrooms. The Indian currency is the Rupee. ATM’s are commonplace throughout India and money is easily drawn at most of them. It’s a good idea to draw around 20,000INR (around 200.00GBP} from an ATM when you first arrive at the airport and then draw more if and when required. It’s a good idea to let your bank know in advance that you will be travelling in India so as you don’t encounter any issues when withdrawing cash. The national language is Hindi however a large percentage of the Indian population speak very good English. India has many different local languages and dialects however the first Hindi word you need to learn is simply “Namaste” (Hello). You will be required to have a current valid Passport before you can enter India. You need to make sure that it has a minimum of 6 months left to run when applying for your visa. Visas for India are easy to get and are not expensive. Most people opt for a tourist visa which can be applied for online. Depending on which country you are travelling from some can be gained upon entry to India however please check your particular visa requirements well in advance of your travel as each country has different requirements. You will need to have a current full drivers licence. If you are driving a car you will need a full car driving licence. If you are riding a motorcycle then you will need a full motorcycle licence. You will also require an International Driving Permit issued from your own country which you need to have whilst driving or riding in India as it’s a legal requirement. International Driving Permits are issued automatically, are easy to obtain and cost very little. When riding a motorcycle on our adventure trips safety is paramount therefore you must wear a crash helmet, body armour or protective jacket, motorcycle riding boots and gloves at all times. More detailed information is available in our FAQ section of our website and can be found on the specific trips page. This information is also available when you download your Information Pack from the trip page you have chosen. India is a vastly diverse country and the terrain varies from the rugged roads and tracks of the snow-capped Himalayan peaks to the smooth winding tarmac coastal routes that adorn the sun drenched beaches of the south. The riding and driving conditions vary greatly however whatever adventure experience you are looking for India has it. If you are a competent motorcycle rider or car driver then the adventure will be no problem for you. A full briefing is given every day so you know what to expect. You can find more detailed information on the adventure trip page you have chosen. All the major airlines operate in and out of India. You may require a domestic transfer flight upon arrival in India when travelling to any of our start destinations. There are a couple of very good websites which are www.cleartrip.com and www.makemytrip.com We can also recommend a flight agent in the UK that specialises in flights to India so please contact Joanna Grindrod at joanna.grindrod@cti.co.uk and she will help you. Please mention Nomadic Knights when booking so as you get the best prices. You can find details on how to get to the destination of the adventure you have chosen in the “HOW TO GET HERE” section of the trip page you have chosen. It’s essential that you have adequate travel insurance when travelling to India. It’s always a good idea to check with your insurance company before you travel with us just to make sure. IMPORTANT: When participating in one of our motorcycle adventures you must have specific cover to ride a motorcycle in India. If you are driving a vehicle please also check. We will require details of your insurance policy for the trip. The specific motorcycle policies are readily available through most travel insurance companies and are not expensive. If you are taking any kind of medication it’s advisable that you bring a supply with you. Medication is fairly easy to get here in India over the counter and you may find that many prescription drugs are available in this manner also. You must inform us prior to your trip of any medical conditions or allergies that you have. These are treated in the strictest of confidence and are only given to our travelling medic/doctor. You will find further details in your Information Pack. You may or may not require vaccinations for India depending on the vaccinations you already have. Regardless of whether you have vaccinations or not it’s essential that you consult with your doctor or GP before travelling to India. It’s likely they will ask which area in India you are travelling and at which time of year you are travelling. This information is available in your Information Pack. This applies to your north of India Adventure trips only. Acute Mountain Sickness can affect anybody and the condition has no connection as to whether you are fit or not. It can generally affect you at over 2,500 metres. As we ascend to 5,600 metres on some of our Himalayas trips you need to be aware of this condition. It can occur due to the lack of oxygen and the symptoms are usually temporary. The symptoms are headaches, nausea and dizziness. It can also disrupt sleep. This can be avoided by staying well hydrated with water and by taking Diamox tablets. Please bring a personal supply of Diamox if you are participating in a Himalayan adventure. We carry a supply of Diamox tablets for emergencies and have Oxygen cylinders readily available in case you need it. From my own personal experience it only affects around three people in every one hundred and is usually dealt with very quickly by our travelling team/medics/doctor. You should consult with your doctor or GP for further advice before travelling to India. You will have time to acclimatise when you reach the Himalayas and Diamox is readily available in India. We travel with a full and extensive medical kit consisting of heart defibrillators, stretchers, splints, oxygen supplies, trauma treatment kit and remote settings prescribed drugs. We are prepared for any eventuality. Our medical kit is kept up to date and is constantly renewed under instruction and supervision from Remote Adventure Medical Services Ltd based in the UK. You can bring your mobile phone with you and it should work within the network coverage areas. Please ensure that you have notified your provider in advance of your trip so as you have international roaming. Please be aware that data roaming and downloading can be expensive when in India so please check before travelling or you could end up with an expensive mobile bill when you get home. You can obtain a pay as you go mobile in India however you need sufficient ID (Passport) and need to provide 2 passport size photographs. Managing to get one is not always guaranteed. India works on a 240 volt system and your standard 2 pin travel adaptor should work in most cases. Most of the hotel and hospitality workers are not particularly highly paid so tipping has become a fairly standard practice if you are happy with the service. When in restaurants the normal tip is around 10% of the bill. If someone is carrying your bags to and from your room I would suggest that you need to pay no more than 50INR. 20INR would be the norm so it’s really up to you. There is no need to tip anybody whilst on our adventure trips as we take care of these things however if you have a favourite feel free. I can assure you that it will be greatly appreciated. You can order a taxi from your hotel however do expect to pay slightly more and ask for the price in advance. For me the best way is to go out into the street and flag down one of the local “tuk tuk’s” These are the little 3 wheeler auto taxis you will see everywhere in India. It’s a fantastic experience and the drivers are the best for obtaining local knowledge. You can agree a rate by which they will run you around all day and take the time to share a chai (sweet Indian tea) with them at one of the many dhabas (roadside cafes). Due to the unpredictable nature of India your adventure itinerary can change at short notice. This can be caused by road closures, local workers strikes or adverse weather conditions. There is always something new pops up in every adventure. Those tend to be the most memorable days as we all pull together as one big team. It can be one of the many things that make your adventure special, the unpredictability of India. It is after all an adventure not just a holiday. We spend most of our time exploring some of the most remote parts of India on adventure trips which means we are out of contact a lot of the time. Because of this our website is designed to give you as much information as possible so as you can make an informed booking, pay a deposit and secure your place on one of our amazing adventures. You can book and pay online using your credit or debit card. We are constantly trying to improve our website to make it easier for you and I would encourage you to leave feedback and let me know what information you couldn’t find and let me know anything that can be improved our website. I would also love to know the reasons as to why you chose Nomadic Knights or perhaps the reasons as to why you didn’t. You can do this by using the “GET IN TOUCH” section. Should you need any further convincing that Nomadic Knights are the right people to share your adventure in India with, look at what some of our previous adventurers have had to say about their own personal experience. I am sure that you are brimming with questions before your trip to Nepal & Tibet. This section contains some basic information, however, more detailed information can be found in your Information Pack, which is available for downloading on your adventure trip page at your convenience. Throughout my travels, I have never, ever met people so willing and eager to laugh. Everyone you meet, whether it be beggars or children, lamas or shopkeepers, they will always be on the verge of a smile, if not a grin. You will be amazed at why these people are so happy and smile so much even though their living conditions are tough. Laughter comes so easily to these people and the influence such a small thing can have on your day and your experience is enormous. They are amazing. This is a great time to travel in Nepal and Tibet. Nepal will be warmer however it will get cooler as we head up into Tibet. In May we can expect bright sunshine and dry cool weather. Because visibility is also good at this time of year we should get a clear view of Mount Everest. May is the start of spring when the ice starts to melt and the trees turn green. Because of the high altitude dry weather it can feel warmer than it actually is. There may be a chance of rain however it’s unlikely. Min Temp: 5 °C Max Temp: 25 °C. The food is amazing. Tibetan food, like Tibetan people and their culture has a very distinct character. There is a wide variation of food including Tsampa (dough with roasted barley and butter), beef and mutton dishes, noodles including thukpa, sausage, rice, milk curd and yoghurt and the not to be missed Tibetan momo’s. These are delicious dumplings which are made with either meat or vegetables. The half moon shape momo can be either steamed or fried and served with chilli sauce. There are many vegetable dishes available also and we mustn’t forget the hot Tibetan sweet tea. You will grow to love this during the adventure and will look forward to our tea stops throughout the ride. The accommodation we stay at on the trips varies from top quality hotels to mountain lodges. We only choose the best places available however even if they seem basic they are always clean, have good food, clean comfortable bedding and good toilet facilities. On most occasions we will all be sharing two people to a room. You will need to bring some spending money with you but not a great deal. In Nepal the currency is Nepalese Rupee and in Tibet the currency is the Chinese Yaun. You will be able to exchange money in both countries therefore the best currency to bring would be US dollars as they are accepted in most places. Whilst recognizing that everyone’s spending patterns are different, as a rule of thumb we recommend that you allow around $30.00 (Thirty Dollars) per day. This should cover any drinks or food you may want to buy throughout the day and evening. You will be required to have a current valid Passport before you can enter Nepal and Tibet. You need to make sure that it has a minimum of 6 months left to run when applying for your visa. Visas for Nepal are easy to get and are not expensive. Most people opt for a tourist visa which can be applied for online. In regards to your Tibet visa this is something that we take care of and is included in the cost. You will need to have a current full drivers licence. If you are driving a car you will need a full car driving licence. If you are riding a motorcycle then you will need a full motorcycle licence. You will also require an International Driving Permit issued from your own country which you need to have whilst driving or riding in Nepal as it’s a legal requirement. International Driving Permits are issued automatically, are easy to obtain and cost very little. The rules are different for Tibet therefore we will organize your temporary Tibetan driving licence for you which is included in the cost. 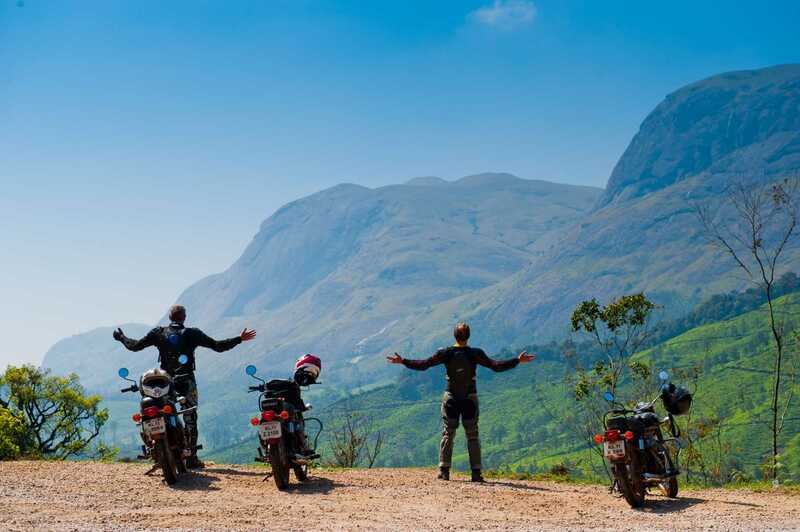 When riding a motorcycle on our adventure trips safety is paramount therefore you must wear a crash helmet, body armour or protective jacket, motorcycle riding boots and gloves at all times. More detailed information can be found on the specific trips page. This information is also available when you download your Information Pack from the trip page you have chosen. All the major airlines operate in and out of Nepal. There are a couple of very good websites which are www.cleartrip.com and www.makemytrip.com We can also recommend a flight agent in the UK that specialises in flights to Nepal so please contact Joanna Grindrod at joanna.grindrod@cti.co.uk and she will help you. Please mention Nomadic Knights when booking so as you get the best prices. You can find details on how to get to the destination of the adventure you have chosen in the “HOW TO GET HERE” section of the trip page you have chosen. It’s essential that you have adequate travel insurance when travelling to Nepal and Tibet. It’s always a good idea to check with your insurance company before you travel with us just to make sure. IMPORTANT: When participating in one of our motorcycle adventures you must have specific cover to ride a motorcycle in a foreign country. If you are driving a vehicle please also check. We will require details of your insurance policy for the trip. The specific motorcycle policies are readily available through most travel insurance companies and are not expensive. If you are taking any kind of medication it’s advisable that you bring a supply with you. You must inform us prior to your trip of any medical conditions or allergies that you have. These are treated in the strictest of confidence and are only given to our travelling medic/doctor. You will find further details in your Information Pack. You may or may not require vaccinations for Nepal and Tibet depending on the vaccinations you already have. Regardless of whether you have vaccinations or not it’s essential that you consult with your doctor or GP before travelling. AMS (Acute Mountain Sickness) Acute Mountain Sickness can affect anybody and the condition has no connection as to whether you are fit or not. It can generally affect you at over 2,500 metres. As we ascend to 5,600 metres on our Nepal and Tibet trip you need to be aware of this condition. It can occur due to the lack of oxygen and the symptoms are usually temporary. The symptoms are headaches, nausea and dizziness. It can also disrupt sleep. This can be avoided by staying well hydrated with water and by taking Diamox tablets. Please bring a personal supply of Diamox with you. We carry a supply of Diamox tablets for emergencies and have Oxygen cylinders readily available in case you need it. From my own personal experience it only affects around three people in every one hundred and is usually dealt with very quickly by our travelling team/medics/doctor. You should consult with you doctor or GP for further advice before travelling. You will have time to acclimatise when you reach Nepal. You can bring your mobile phone with you and it should work within the allowed network coverage areas. Please ensure that you have notified your provider in advance of your trip so as you have international roaming. Please be aware that data roaming and downloading can be expensive so please check before travelling or you could end up with an expensive mobile bill when you get home. Bring a mutli pin travel adaptor with you as it will work in most places. Due to the unpredictable nature of Nepal and Tibet your adventure itinerary can change at short notice. This can be caused by road closures, local workers strikes or adverse weather conditions. There is always something new pops up in every adventure. Those tend to be the most memorable days as we all pull together as one big team. It can be one of the many things that make your adventure special, the unpredictability of Nepal and Tibet. It is after all an adventure not just a holiday. We spend most of our time exploring some of the most remote parts of India, Nepal and Tibet on adventure trips which means we are out of contact a lot of the time. Because of this our website is designed to give you as much information as possible so as you can make an informed booking, pay a deposit and secure your place on one of our amazing adventures. You can book and pay on line using your credit or debit card. We are constantly trying to improve our website to make it easier for you and I would encourage you to leave feedback and let me know what information you couldn’t find and let me know anything that can be improved our website. I would also love to know the reasons as to why you chose Nomadic Knights or perhaps the reasons as to why you didn’t. You can do this by using the “GET IN TOUCH” section. Should you need any further convincing that Nomadic Knights are the right people to share your adventure in Nepal and Tibet with, look at what some of our previous adventurers have had to say about their own personal experience. CLICK HERE TO READ WHAT IS WAITING FOR YOU. Adventure Ashram is a charity founded and supported by adventurers. The bond created through our passion for adventure offers protection to the people that live in the places we explore. Adventure Ashram’s mission is to help the poorest people on or around the routes our adventures travel through. Adventure Ashram is currently working in North and South India with health and education projects. If you are planning an adventure with Nomadic Knights, please consider raising funds for one of our projects and help to make a difference to the people and places you explore. Anyone planning an adventure can choose to support Adventure Ashram by supporting one of our ongoing projects listed below. Fundraisers can download fact sheets from the ‘Projects’ page on our website to help support their fundraising efforts. They give lots of detailed information and explain why the money being raised is vital and the difference it will make. We can help you develop your fundraising ideas, explain how to use the online fundraising tool, Virgin Money Giving and ensure you don’t miss an opportunity to raise funds. Nomadic Knights provide ADVENTURE GUIDED TOUR services. (the Tour) You are in control of your riding/driving experience. Nomadic Knights are facilitating your adventure providing guides, motorcycles/motorcars and support facilities. Driving or Riding on unfamiliar often partly made or even off road can be hazardous and requires a reasonable degree of fitness skill and attention at all times. References to Nomadic Knights and to the “organisers” INCLUDE all persons we engage or work with in organising the adventure. Your Guides are there to help you and your co-participants complete the Tour safely. If you do not comply with the reasonable requirements and directions of your Guides and your Guides believe that you may be a danger to yourself or others you may be asked to leave the Tour and no refund will be given. You are aware that the Tour in addition to the usual dangers and risks inherent has certain additional dangers and risks and that such risks simply cannot be eliminated without jeopardising the essential qualities of the activity and that these inherent risks contribute to the enjoyment and excitement and are the reason for your participation. The risks include, but are not limited to travelling in mountainous terrain, unstable and crowded roads, physical exertion for which you may not be prepared, altitude, civil unrest, forces of nature, all forms of transportation, accident or illness in remote areas without means of rapid evacuation or proper medical facilities. Attitudes to and standards of safety are very different to those in Western Europe. Minimum standards of vehicle maintenance or driving standards are not widely enforced. You must accept all the consequences of such a different lifestyle, culture and attitudes, which may be averse to your well-being. Your guides are there to help you experience true adventure riding and to advise you, they cannot remove or prevent injury or even in extreme circumstances death. You acknowledge that the countries that we travel in are for the most part, underdeveloped by Western standards. The basic infrastructure and level of tourist amenities, including creature comforts and level of accommodation may be of much lower standards than you are used to. You acknowledge that the nature of this type of travel requires a considerable degree of tolerance and a flexible constructive attitude. You must allow for alternatives, some of which may include: not arriving at the day’s final destination, having to take an alternative road/route, change in accommodation. Start and Finish dates are not fixed and can vary. You are part of a group and will be expected to assist each other through unforeseen challenge delays breakdowns and weather changes that can materially affect our schedule. It is important to understand that even the most meticulously planned arrangements can and do go wrong. You agree to follow the instructions of Nomadic Knights’ guides, employees, agents and suppliers during the tour. If we have any concern as to your health conduct or physical or mental ability which might endanger you or which appears to us might affect the progress or safety of the Tour you may be excluded from the whole or part of the Tour at our absolute discretion. In such circumstances no refund or compensation will be due to you. You accept responsibility for obtaining all necessary travel information and documentation required for the event. Any information that we provide to you on such matters as permits, visas, vaccinations, climate, clothing, baggage, special equipment etc., whether done before the start or during the event, is given in good faith for guidance only without any responsibility whatsoever on the part of Nomadic Knights. 1 BOOKING AND FORMATION OF OUR CONTRACT WITH YOU. Your booking is an offer BY YOU to us to take part in a Tour. If we accept your request to participate a contract for the provision of services arises which is subject to these terms and conditions. This is subject to the Laws & Regulations of India. By commencing the Tour you will be deemed to have accepted these Terms & Conditions, you may also be required to sign/re-sign these Terms before commencing the Tour. Your deposit is non-refundable, and has been paid to secure your place. The final balance payment is to be paid no less than 112 days before the start of the Tour. If we do not receive your final balance payment on time your place on the Tour may be at risk, and we are entitled to cancel your booking. If we cancel your booking due to non-payment We shall be entitled to retain the deposit and you may be required to make such further payment as is needed to cover its reasonable costs and losses caused by withdrawal. If you are not able to participate in the Tour for any reason we will require written confirmation of your intention to withdraw from the Tour. Your place on the Tour will not be cancelled or transferred until we receive written confirmation. You acknowledge that Nomadic Knights may incur further costs and losses if you delay providing written confirmation. If we cannot reallocate your place on the Tour we will refund the amount set out in Clause 4 of these terms. We reserve the right to make changes to or correct errors in published and other details (before and after booking). We reserve the right to cancel a Tour in any circumstances. If we cancel your Tour because we are unable to provide the service (other than by reason beyond our control) you are entitled to either receive a refund or accept a place on a replacement Tour from price, and us of equivalent or closely similar standard if one is available. We will refund the difference in price if the replacement Tour is of a lower standard and price. ADVENTURE MOTORCYCLYING AND DRIVING IS INHERELTY UNCERTAIN YOU MUST OBTAIN CANCELLATION INSURANCE AS PART OF YOUR TRAVEL INSURANCE. It is in the nature of all adventure motorcycling that unforeseen events might cause the loss of fees and expenses you incur. If we have to make a major change to an event, or cancel a Tour we will notify you of that change as soon as possible. If there is time to do so before the start of the event, we may be able to offer you the choice of accepting the changed arrangements. If you are unable to start a Tour on the expected date or within a reasonable time, due to matters within our control or if we notify you of a major change to the Tour or cancellation by us, you have the option to transfer to a subsequent Tour operated by Nomadic Knights, the equivalent amount to the refund of your refund can be credited towards the cost of that subsequent event. If there is a price change for the subsequent event, you will be required to pay the full price of that event, and will be refunded the balance if the amount you have paid is greater than the price of the subsequent event. You will also be required to complete a new agreement relating to the subsequent event. Subject to giving at least 30 days notice in writing that you are unable to take part in the Tour or are prevented from travelling due to circumstances beyond your control, Nomadic Knights will agree to your booking being transferred to another person who satisfies all the conditions applicable to the package, subject to both you and that person accepting joint and several liability for full payment of the Tour price and Nomadic Knight’s charge for confirming the transfer and any additional costs arising from the transfer. IT’S A CONDITION OF MAKING A BOOKING that you (and your pillion if applicable) hold valid and adequate personal travel insurance, for the period of the event, that includes driving vehicles and riding motorcycles in a foreign country, and medical cover for motorcycling in the Tour of an accident or medical emergency which includes repatriation back to the your country. YOU AGREE THAT ALL RIGHTS OF SUBROGATION WILL BE EXCLUDED AND YOU WILL INDEMNIFY US IN RELATION TO ANY BREACH OF THIS CONDITION. YOUR INSURANCE SHOULD INCLUDE ANY ADDITIONAL COSTS INCURED BY NOMADIC KNIGHTS ASSISTING YOU TO A PLACE OF SAFETY OR ADDITIONAL COSTS OF PROVIDING ASSISTANCE TO YOU. We strongly recommend that YOU ENSURE YOU CAN OBTAIN suitable travel insurance BEFORE BOOKING THE Tour and that this is obtained by you as soon as possible after signing up for the event. This should provide cover against additional costs, accommodation, cancellation charges, unexpected curtailment of the trip, legal and medical expenses, loss or damage to luggage and personal liability claims. Proof of travel insurance is required when you pay the balance of the monies due 112 days prior to the start of the event. YOU ARE RESPONSIBLE FOR RETURNING THE VEHICLE IN GOOD CONDITION SUBJECT TO FAIR WEAR AND TEAR COMMENSURATE WITH THE CONDITIONS WHERE THE TOUR OPERATES. Should damage occur to your motorcar or motorcycle through driver or rider error you will be liable for the cost of repair. YOU SHOULD ENSURE THAT YOU HAVE ADEQUATE INSURANCE FOR ALL FORSEEABLE RISKS. You must ride your motorcycle or drive your car in accordance with local laws, rules and regulations. In the absence of fault by anther party you are responsible for any damage arising from a collision involving you and a third party or another participant caused by your neglect. You must inform us of any medical, physical, mental or other condition, which might affect the your ability to safely complete the Tour, including any condition arising or recur en route. If in our reasonable opinion we consider you may be medically, physically or mentally unsuited or unable to continue, we may in our absolute discretion terminate your participation or we may require you to undergo a medical examination before continuing. If full details of an medical or physical conditions are not given at the time of booking, we reserve the right to cancel the booking when we become aware of these details and retain as much of the deposit or other payments as is needed to cover our reasonable costs and losses caused by cancellation. It is your responsibility to ensure that you seek professional medical advice before travelling and to take all necessary health precautions and preventative measures and obtain vaccinations as necessary for the event. A valid passport AND VISAS for visiting the countries on your chosen event. Your passport must be valid for six months after the end date of your event. It is your responsibility to obtain all visas and permits where and when required. The cost of obtaining any visa is also your responsibility. A valid driving license for the motorcycle you are riding or car you are driving. A valid international drivers permit (IDP) where and when required. You may not be able to participate in the Tour if you cannot produce any of these documents when requested to do so. All additional direct and indirect costs incurred by you to replace documents or because you cannot continue with the Tour are borne by you and refunds will not be made for any part of the Tour missed. We reserve the right at our absolute discretion to terminate your Tour without prior notice should your behaviour be such that it is likely in our reasonable opinion to cause danger, annoyance or damage to any other person or property. We have a zero tolerance policy regarding any type of abuse. Any form of threatening behaviour, verbal, racial or physical abuse to another member of the group or towards any of our staff, contractors or Tour leaders will result in you being expelled from the Tour and your participation terminated and you will be required to leave the Tour. We will have no further responsibility including any return travel arrangements from the point of termination. No refunds will be made and we will not pay any expenses or costs incurred as a result of such termination. The Tour price will not be subject to a surcharge save that in exception circumstances resulting from Government action affecting transportation cost and/or currency fluctuations. There may be instances where circumstances beyond our control dictate an increase in the cost. We will not pass on any increase less than 2%. We reserve the right to introduce a proportionate surcharge for increases larger than this if they occur more than 60 days before travel. If as a result of the surcharge the increase is more than 10% of the stated Tour price you will be given the option to cancel your booking and receive a full refund. Your participation as part of a group is a public event, we shall be entitled to publish photographs of the Tour and you consent to such publication. Your participation constitutes acceptance that Nomadic Knights and your co-participants may publish information concerning the Tour, which may include your personal data. Whilst we always take care not to publish anything which is compromising or might bring you into disrepute we cannot prevent and are not responsible for the publication of any images or statements or disclosure of personal data made by your co-participants. We will be entitled to keep and maintain you personal information and to use this for the purpose of offering you goods or service and enhancing the service offering. We may share this with our service providers. We will make sure that the arrangements we have agreed to make or provide as part of our contract with you are made or provided with reasonable skill and care. This means that, subject to these terms and conditions, we will only be responsible if the arrangements are deficient as a result of such failure by employees, our agents, suppliers or ourselves. Also, we will only be responsible for what our employees, agents and suppliers do or do not do if they were at the relevant time acting within the course of their employment (for employees) or carrying out work we had asked them to do (for agents and suppliers). For all claims not involving death or personal injury, if we are found liable to you on any basis the maximum amount we will have to pay is limited to the amount paid by you to us in respect of the event. We will not be responsible for any injury, illness, death, loss (e.g. loss of enjoyment), damage, expense, cost or other sum or claim of and description whatsoever which results from any act and/or omission of the person affected or the act and/or omission of a third party which were unusual and unforeseeable circumstances beyond our control, the consequences of which could not have been avoided even if all due care had been exercised. We do not accept responsibility for any services not forming form part of our contract with you, such as additional service or facility any supplier agrees to provide for you if the service or facilities are not advertised in our publicity materials and we have not specifically agreed to arrange them. If you have any reason to complain or experience any problems, you must immediately inform our representative (if there is one) and the supplier of the relevant service(s) or your Tour guides. Any verbal notification must be put in writing and given to our representative or your Tour Guides as soon as possible. If you remain dissatisfied, you should contact us at the earliest opportunity. Until we know about a problem or complaint, we or the supplier cannot begin to resolve it. If your complaint or problem is not resolved to your satisfaction you must write to us within 28 days of your return to your country of residence giving your booking reference and full details. If you have any special request needs or requirements, you must advise us in writing when you apply to participate in an event. We cannot guarantee any request will be met and failure to meet any special request will not be breach of contract on our part. Confirmation that a special request has been noted in your confirmation or any other documentation is not a promise that the request will be met. We cannot accept any conditional bookings and all bookings will be treated as subject to these provisions as to special requests. The information contained in our publicity materials is correct to the best of our knowledge at the time of publishing. Please note that the published information may have changed by the time you come to book your arrangements. Whilst every effort is made to ensure the accuracy of such information at the time of printing, errors do occasionally occur. You must therefore ensure you check all details with us before you apply. This Agreement is subject to the Laws of India and subject to resolution by a single Arbitrator the seat of the Arbitration (KARNATAKA Arbitration Centre) in (KARNATAKA) by a single Arbitrator in English. By applying to join a Tour you acknowledge that you have read and understood these Terms and Agree to abide by the requirements and conditions of the Tour. You will be required to sign a disclaimer before commencing the Tour that you have complied with all of the pre-conditions and that you have read and understood Nomadic Knights terms and conditions and expressly agree to abide by their terms of business. You acknowledge that participation is entirely at you own risk and that motorcycling and motorcar adventure travelling entails enhanced known and unanticipated risks. You accept that such risks simply cannot be eliminated without jeopardising the essential qualities of the activity. The risks include, but are not limited to travelling in mountainous terrain, altitude, civil unrest, forces of nature, all forms of transportation, accident or illness in remote areas without means of rapid evacuation or proper medical facilities. By applying to join the Tour and by commencing the Tour you release Nomadic Knights, their guides, any members of staff or contractors from any and all liability arising from physical or emotional injury, paralysis, illness, death, delays, loss or damage to property, or to third parties, recklessness of any kind, and from any and all claims, demands or expenses resulting from the Tour. You expressly agree and promise to accept and assume all of the risks existing in this activity. You accept that participation in this activity is purely voluntary, and I elect to participate in spite of the risks. You give this release of liability and assumption of all risks statement applies to all members of my family and are binding upon my heirs, legal representatives and assigns. I acknowledge that Nomadic Knights are providing a guided tour and that I am responsible for my own riding/driving and conduct. By the start of the Tour I will hold a driving licence valid for me to take part in the Tour and will provide proof of this to the organisers. The licence is mine and all documents, including the driving licence, are valid and have not been tampered with in any way. If any documents prove to be false, I accept that liability is mine, and not that of you or the organisers. I will carry the original of this document with me at all times during the tour. By the start of the Tour I will have travel insurance which covers me to drive a motor vehicle or ride a motorcycle (up to 500cc) whilst on the Tour and I have checked its terms and conditions. I understand that whilst the organisers will require proof of valid travel insurance, it is my responsibility to ensure I have suitable cover. I will carry the original of this insurance document with me at all times during the tour. By the start of the Tour I will be 18 or older and have a current passport, valid for at least six months after the end of the Tour and valid visa documents as required. By the start of the Tour I will hold a valid International Driving Permit (IDP) if required and will provide proof of this to the organisers. This, when accompanied by a valid driving licence, allows me to drive a private motor vehicle overseas. IDP’s are generally valid for 12 months from the date of issue. I will carry the original of this document with me at all times during the tour. I understand that you will provide third party insurance for my operation of the motor vehicle in the event, covering me in respect of any third party accident, but that any costs associated with the repair of my motorcar or motorcycle due to driver or rider damage, error or careless driving/riding will be covered by me. I will drive/ride responsibly at all times and accept that I am responsible for my own safety. I am aware that driving motorcars or riding motorcycles in a foreign country can be dangerous and unpredictable. I understand that any accidents I am involved in are to be resolved by me, my insurance provider and the third-party only. I am aware that due to the nature of the Tour I may be out of reach of medical assistance at various times before, during and after it. I accept that immediate medical assistance may not always be possible and that due to the distances covered each day during the Tour I may be many hours from hospital. I appreciate that at times medical assistance may be delayed by reason of circumstances such as heavy traffic, attendance at another accident or vehicles breaking down. I do not suffer from any drug or alcohol related dependency. I am aware that it is illegal to drive or ride under the influence of alcohol or drugs and that if caught I could face criminal charges. If I make changes to my route timing or itinerary before, during or after the Tour I alone will be liable for anything resulting therefrom. This includes going off the designated route where I will be without support of the team members or medics. I am aware that the motorcars and motorcycles are the property of Nomadic Knights and are on short-term loan to me for the period of the Tour only. If I am refused passage/or entry/or exit to or from any of the countries we operate in, any additional costs incurred will be my own responsibility. 13. I agree that any transfers I arrange outside of the proposed itinerary and any on-going travel arrangements I arrange following the Tour will be at my own expense. I understand that bed, breakfast and dinner are included but that all other expenses (including lunch, drinks and telephone calls) will be my own responsibility and will have to be paid for in cash at the time of any such purchase. I understand that I may be required to share rooms with other participants. I understand that in some of the accommodation our requirement for twin-bedded rooms may exceed the supply and only double beds may be available. I accept that any damage or breakages caused by me during my stay in hotels or at other accommodation during the Tour will be my responsibility. I will be responsible for filling up my motorcar or motorcycle with fuel and that this should be done at the end of each day to avoid causing delay to the event. Occasionally Nomadic Knights will supply fuel. It is your responsibility to monitor your fuel levels. I will attend all briefing sessions and heed the advice of the organisers about the driving and riding conditions, including that given to me during the introduction speeches. I will take proper care to ensure my safety and will not put any third party at risk by reckless or dangerous or driving or riding. I am aware that I must bring with me all items marked ‘essential’ on the KIT LIST and use them at all times when driving or riding during the event. I am responsible for my personal possession and that Nomadic Knights are not liable for any loss or damage to my property. 20. I acknowledge that there are risks involved in any adventure travel activity, including, but not limited to the dangers of travelling in mountainous terrain, high altitude, forces of nature, civil unrest, hijacking , criminal activity, terrorism, travel by aircraft, truck, bus, jeep, car, motorcycle, bicycle, watercraft or any other means of transportation, accident or illness in remote areas without means for rapid evacuation or medical facilities. I acknowledge that whilst I am participating in the Tour I will be an ambassador for Nomadic Knights and that my co-participants are entitled to enjoy the experience. I will not victimize bully ridicule or discriminate against any of the Organizers of my fellow participants and will behave as an ambassador for my group and Nomadic Knights, at all times. I ACKNOLWEDGE THAT I AM GUESTS IN THE COUNTRY AND THE THOSE THAT FOLLOW ME AS ADVENTURE MOTOCYCLISTS/ DRIVERS MAY BE MATERIALLY AFFECTED BY ANY MISCONDUCT ON MY BEHALF. Nomadic Knights are committed to ensuring that your privacy is protected. Should we ask you to provide certain information by which you can be identified when using this website you can be assured that it will only be used in accordance with this privacy statement. Nomadic Knights may change this policy from time to time by updating this page. You should check this page from time to time to ensure that you are happy with any changes. This policy is effective from 1st of March 2013. From time to time, we may also use your information to contact you for market research purposes. We may contact you by email, phone, fax or mail. We may use the information to customise the website according to your interests. We do not knowingly collect information related to your racial or ethnic origin, political opinions, religious or other beliefs, criminal background or political affiliations unless it is volunteered by you. We may use any health related information provided by you only to serve you better and meet your specific needs when you travel with us. In the event of a merger, consolidation, sale, liquidation or transfer of assets, Nomadic Knights in its sole and absolute discretion may transfer, sell or assign information collected, including without limitation, non-personal information and personal information, to one or more affiliated or unaffiliated third parties. Nomadic Knights with or without prior notice to you, may have to share your information in order to comply with applicable laws or respond to governmental inquiries or requests from public authorities or to comply with valid legal process, to protect the rights, privacy, safety or property belonging to Nomadic Knights, its customers, employees or the public or to permit us to pursue available remedies or limit the damages that we may sustain or to respond to an emergency. If you use a corporate credit card, your billing information may be shared with your employer. Nomadic Knights takes precautions, including administrative, technical and physical measures- to safeguard your personal information against loss, theft, misuse, as well as unauthorized access, disclosure, alteration or destruction. However, unfortunately no security system or system of transmitting data over the Internet can be guaranteed to be entirely secure. You can help us by also taking precautions to protect your personal data when you are on the Internet. For your own privacy protection we advise you not to include sensitive personal information in any emails you may send to us. Please do not send credit card numbers or any sensitive personal information to us via email. The Nomadic Knights website may contain links to other websites of interest. However, once you have used these links to leave our site, you should note that we do not have any control over that other website. Therefore, we cannot be responsible for the protection and privacy of any information which you provide whilst visiting such sites and such sites are not governed by this privacy statement. You should exercise caution and look at the privacy statement applicable to the website in question. If you would like a copy of the information held on you please write to: Nomadic Knights, House 35/1, Pequeno, Vanelim, Colva, Goa, India, 403708.